Please view the database of songs from the Slavery period and discover some of the songs and narratives that helped shape popular music as we know it today. The database also contains songs with specific links to Liverpool. 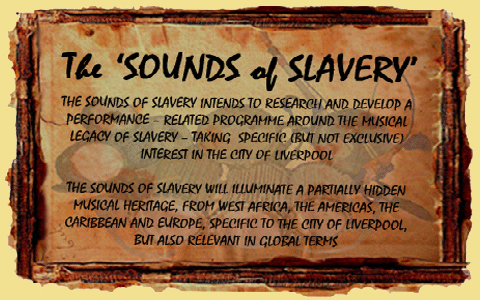 Between 1880 and 1807 75% of all European slave ships left from Liverpool, and Liverpool slave ships transported around 1.5 million Africans across the Atlantic. 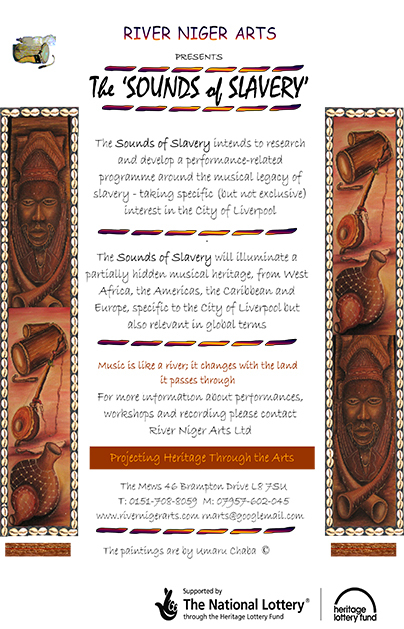 The Transatlantic slave trade changed the Western World and there is constant debate about the impact of its legacy on the arts, industry and history. "We are almost a nation of dancers, musicians, and poets. Thus every great event, such as a triumphant return from battle, or other cause of public rejoicing, is celebrated in public dances which are accompanied with songs and music suited to the occasion." "Music is like a river ; it changes with the land it passes through"